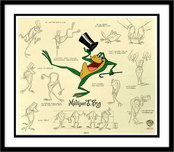 Michigan J. Frog is an animated cartoon character who debuted in the Looney Tunes cartoon One Froggy Evening (December 31, 1955), written by Michael Maltese and directed by Chuck Jones. 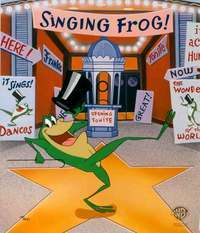 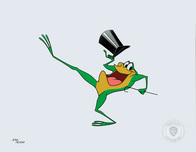 In this cartoon Michigan is a male frog who occasionally wears a top hat, carries a cane, sings pop music, ragtime, Tin Pan Alley hits, and other songs from the late 19th and early 20th century while dancing and performing acrobatics in the style of early 20th century vaudeville. 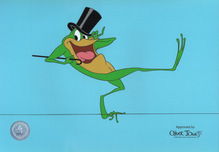 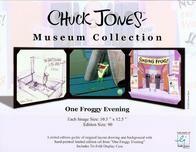 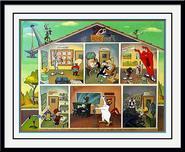 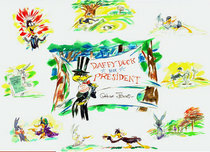 The character appeared in a later cartoon entitled "Another Froggy Evening" and released on October 6, 1995.